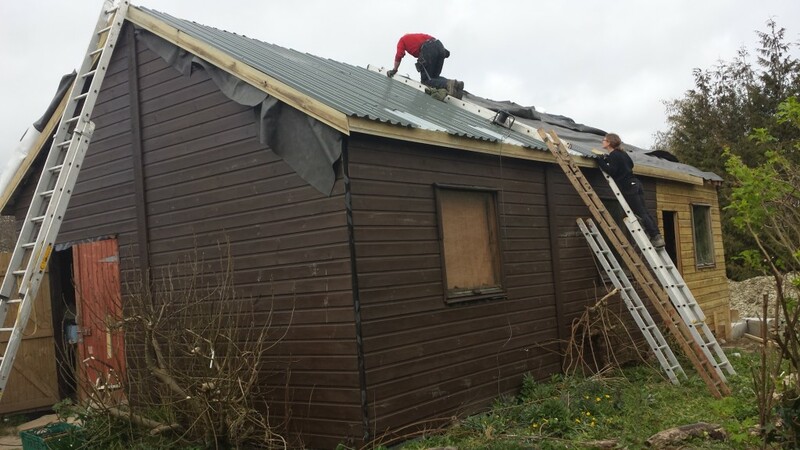 However, when the only building we have on the land – a wooden agricultural shed – was clearly falling apart, we decided that more funding was needed. We were fortunate enough to obtain a grant from the Movement for Compassionate Living (MCL) to refurbish it. Educational and Events area. Located in the western part of the shed, this is going to be a nice open, light space which will serve as the main teaching area. It will be a place where visitors can come to obtain information about us from the display boards, slide show, leaflets etc. We want to run courses here teaching subjects such as the philosophy behind Plants for a Future; practical plant growing courses; permaculture; and reconnecting with nature. In addition, other suitable courses could also be run here such as teaching music, yoga and meditation. Office, Work and Storage area. This will eventually be the central portion of the shed. Storage, Rest Room and Refreshment Facilities. These will be located in the, as yet unbuilt, eastern part of the shed. It will particularly provide a space for the people who work and volunteer at PFAF. The lean-to. Located along the north side of the shed, this extension is where the tools and large machinery will be stored. The Cellar. Located under the eastern part of the shed, this is a large storage area particularly designed to store the large apple harvest, but also able to store many other crops such as Kiwi fruits and various root crops. A decent compost toilet. This will be situated very near to the shed. Passive water heating. To provide warm to hot water. Alternative energy. In the short term we have installed mains electricity on the land, but it is our longer term aim to install solar panels in the roof and a small wind generator. Not only do we have electric lights now, but we are also hoping to have superfast internet access in the near future. The grant from MCL has been extremely helpful in starting this modernisation, but we will need to raise considerably more funds to complete the process. We are currently looking for donations to help this work continue and are also looking for a person to help us with our fundraising effort. If you feel that you are able to help us in this way, then please either email us or phone us. Any offers of help, whether large or small, will be gratefully received. The hole has been dug, ready for the cellar to be built. The cellar will store produce from the land. The rest of the shed will be completed above the cellar. Work in action:- Replacing the shed roof, 2014. 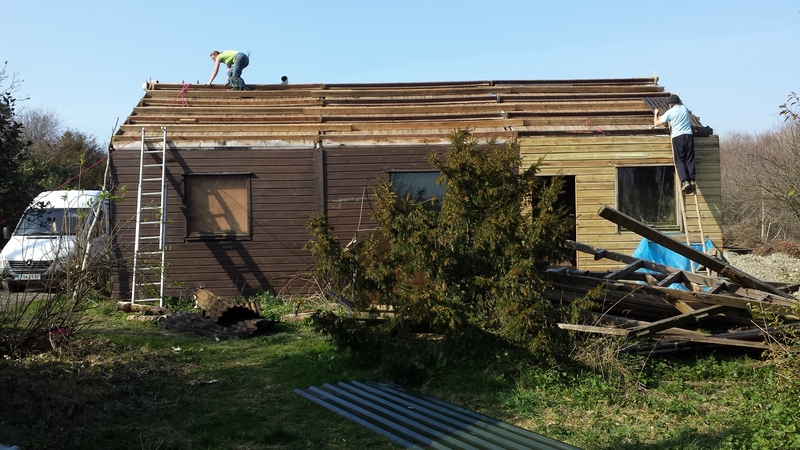 Work in action:- Replacing the shed roof, 2014. The dark painted part of the shed will eventually be the educational space once the shed is completed. If you wish to make a donation, please use the Paypal button below.